Although I went south in the fall, I did not see any Canadian Geese where I was because we export them and their filthy habits to Florida each winter. Snowbirds come in all species. But fly south I did in search of warmer days. Warm I did not find, but I found something even more valuable–another place in the world I love. We spent the weekend in Santiago, Chile. At 11 hours travel each way it may sound excessive, but Mister had business there during the week, so I came to join him for the weekend and I am so glad I did! It was a whirlwind and we packed more into three days then I have in recent history. 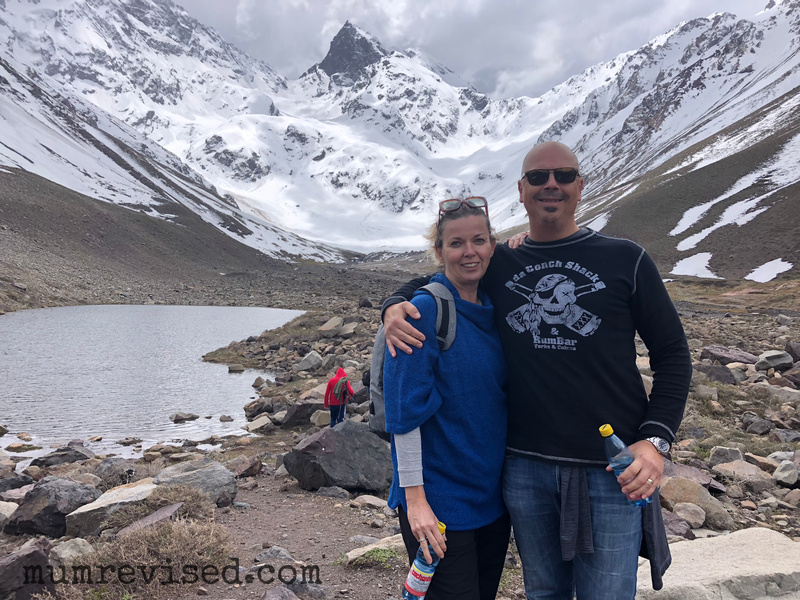 Markets, Chilean BBQs, hiking, relaxing, socializing, and drinking way too many Pisco Sours. The scenery and the people were amazing. And in the great words of Arnold Swarzeneggar, “I’ll be back.” This time, I’ll stay a while. What a cool place. I mean, it had to be cool for there to be that much snow. It also looks amazing. I’m really impressed that you packed so much into just three days. Christopher recently posted…Flight Of The Kiwis. We spent the first six months of our marriage (1970) in Santiago! Turns out, it was a bad time to be there as poor young (hippy) Americans (USA) as later on came the elections. We pretty much left the day of the elections, and if you ever saw the movie “Missing” (1982) with Jack Lemmon, then you’d understand why there was a great rush to leave on our part. It was a glorious country back then, even with so much poverty. From what you showed, it looks even better and more prosperous. You were there at a scary time! I think you should take your hippie-selves back there to see the changes. It is still glorious. Wow, that’s quite a weekend jaunt!